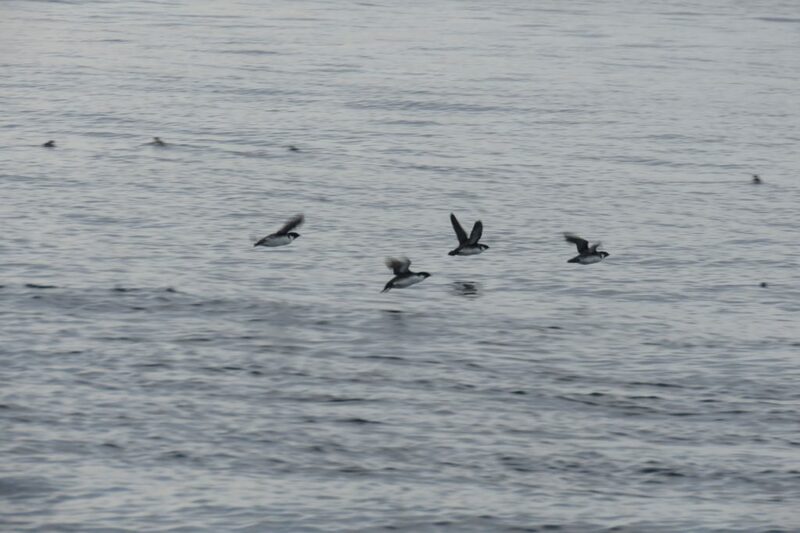 Highlights included single Least Auklet and Long-tailed Duck, two Yellow-billed Loon, high numbers of Ancient Murrelet (6,500 counted) and Rhinoceros Auklet (550), four Spectacled Guillemot, 23,000 gulls and an interesting-looking loon. 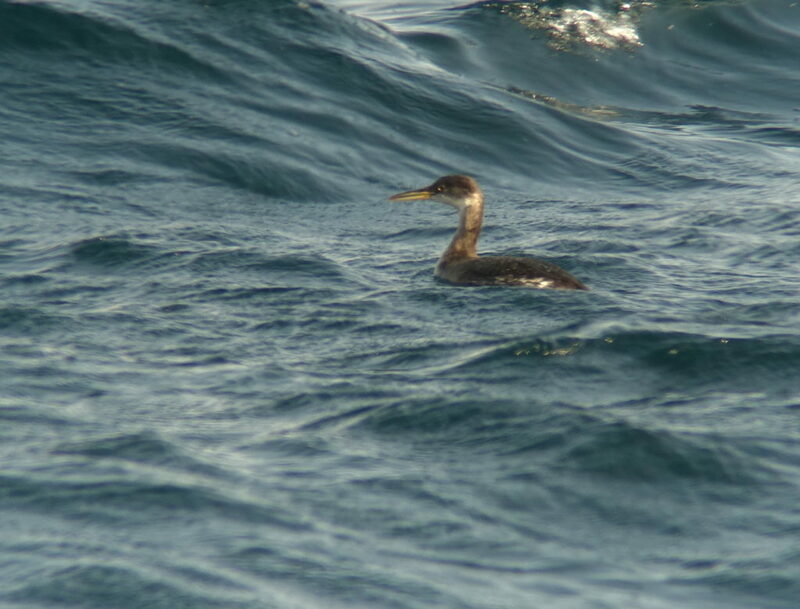 Additional supporting species of note included 171 Asiatic White-winged Scoter, 450 Red-necked, 612 Great Crested and 45 Black-necked Grebes, three Glaucous-winged and 15 Glaucous Gulls, two White-tailed Eagle and ten Cinereous Vulture. “Odd loon” © Nial Moores. The most likely fit seems to be juvenile or immature Red-throated Loon Gavia stellata (based on the small look of the eye and especially on the broken pale edges of some of the upperpart feathers), but in the field and in images, several features instead suggest (the influence of?) other loon species, including the very large-looking head and strong, even slightly decurved bill, the suggestion of rows of pale fringes on the upperparts, and the pale greyness of the hindneck contrasting with a dark patch on the lower nape. 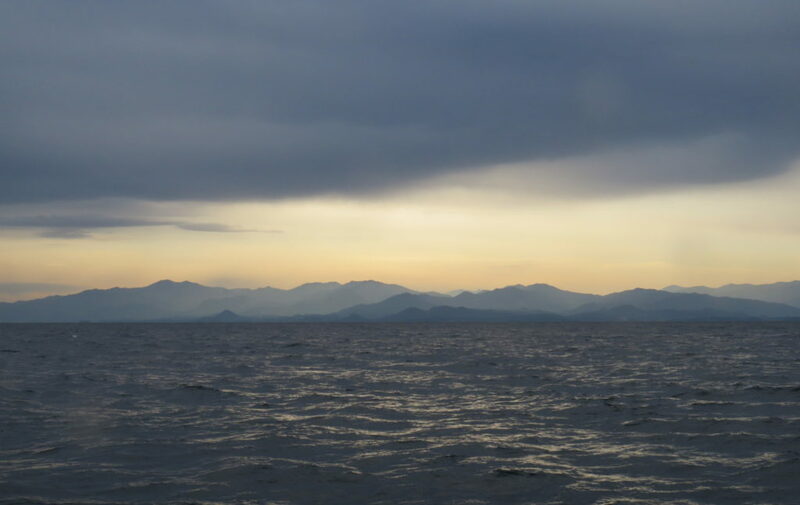 Bird survey was again conducted by Birds Korea and the Hanns Seidel Foundation, Korea, as part of research on biodiversity conservation close to the inner border region of Goseong County from December 12th (when we conducted a boat-based survey) to 15th. Weather conditions were assessed as good to excellent on all dates, except the 14th, when heavy snow, very poor visibility (often of less than 300m) and a high sea-swell (of between 3-4m in height) led to a suspension of survey effort. 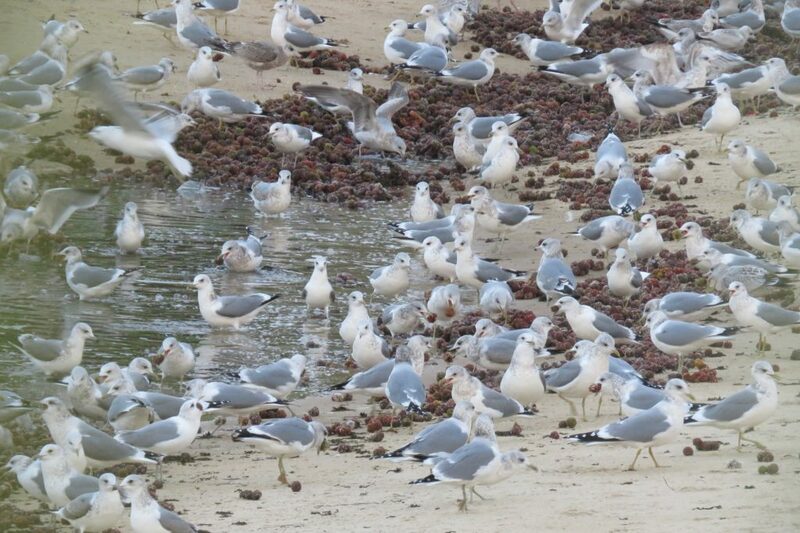 In total, more than 36,000 marine birds were counted during the present survey, with most abundant species being Common Gull (14,000), Ancient Murrelet (with MANY more likely present than the 6,500 we counted, as we found flocks all along our transect, generally densest close to shore but including up to 14km from shore, with 1,700 in one loose flock mixed in with many other species about 5km off Geojin headland), Vega Gull (approximately 6,000), Pelagic Cormorant (3,200) and Pacific Loon (3,000). 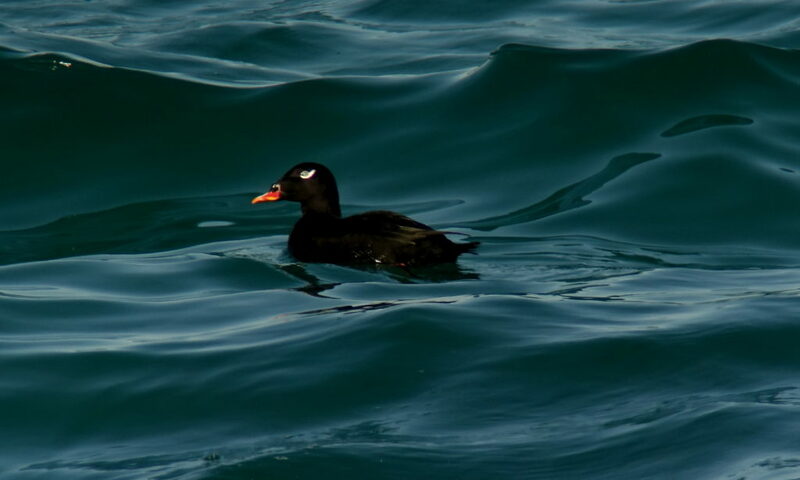 This was the highest count of birds made during the 12 joint surveys to date, far exceeding the 20,000 marine bird benchmark suggested by BirdLife International (2010) for helping to identify Marine Important Bird Areas. 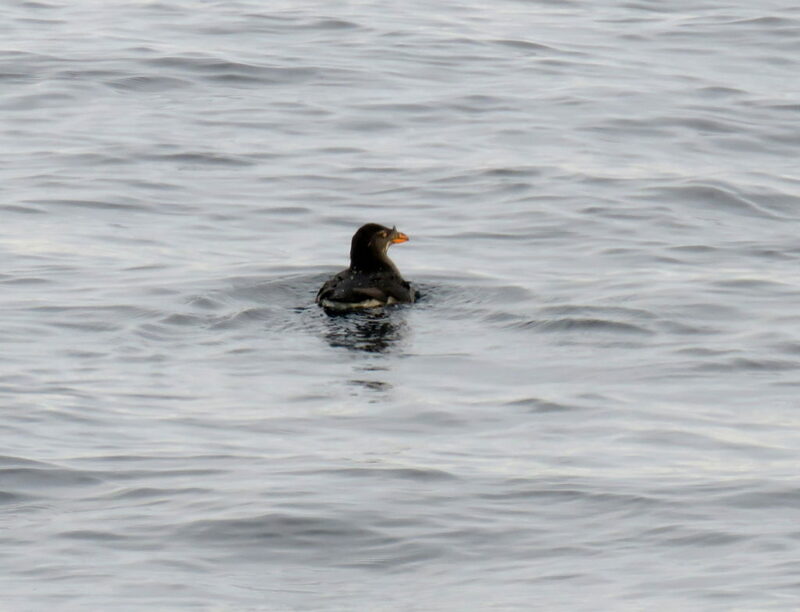 Seven species were recorded in higher numbers than in the previous 11 surveys including Harlequin Duck (35) and American Scoter (103). 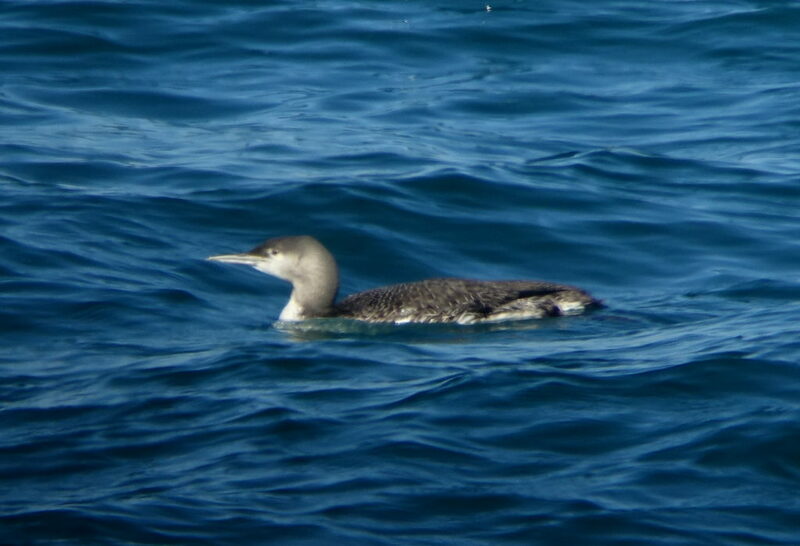 According to the database maintained by Wetlands International (2016), the count/ estimate of Pacific Loon is equivalent to 3% of the East Asian population of the species; the count of Pelagic Cormorant is equivalent to 12% of the nominate subspecies’ population (apparently found in both North America and Asia); and the count of Common Gull (very similar to the count of 13,700 made here in January 2016) is equivalent to 14% of the kamtschatschensis subspecies population. The data provide additional support to the argument for the genuine and long-term conservation of the DMZ – an area that has come to have outstanding national and international importance for biodiversity – and of much of the Goseong coast.